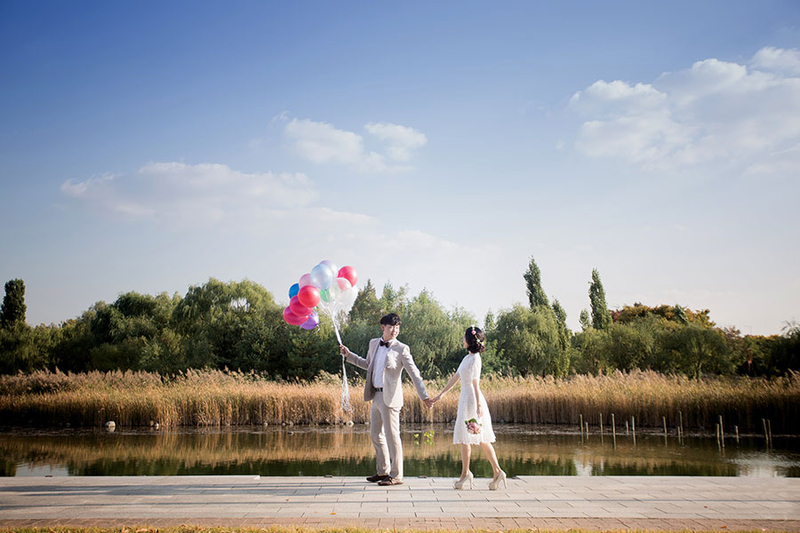 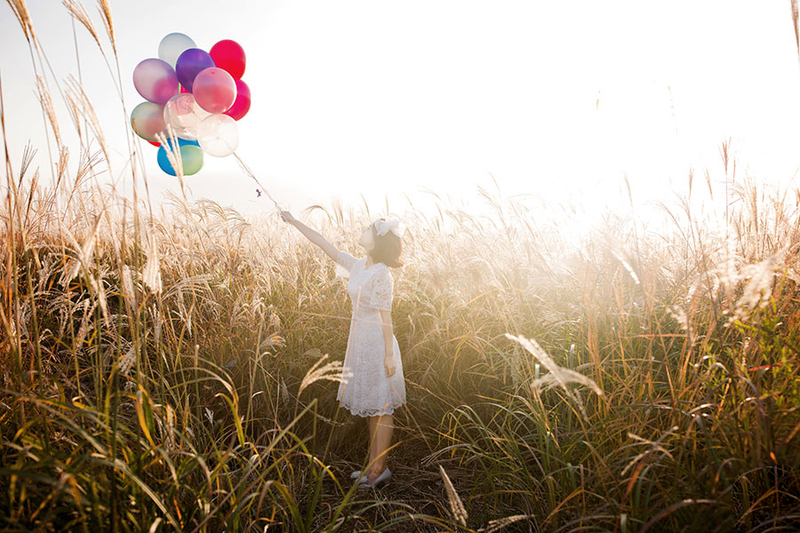 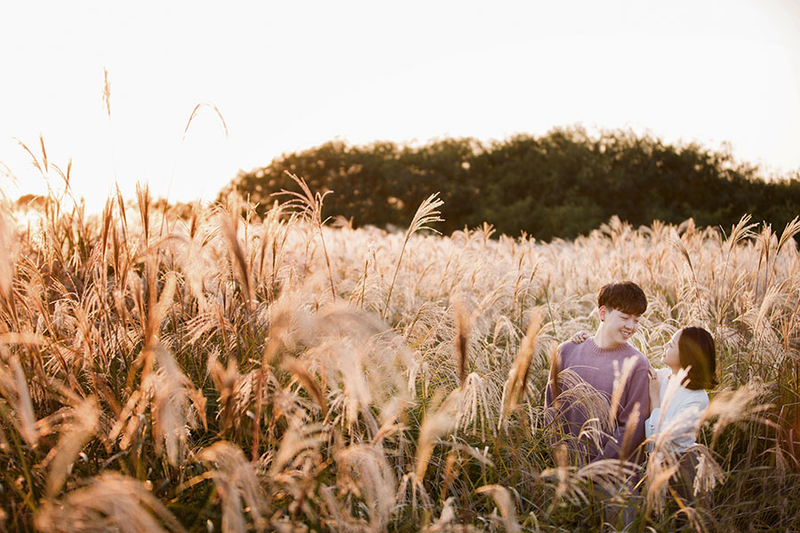 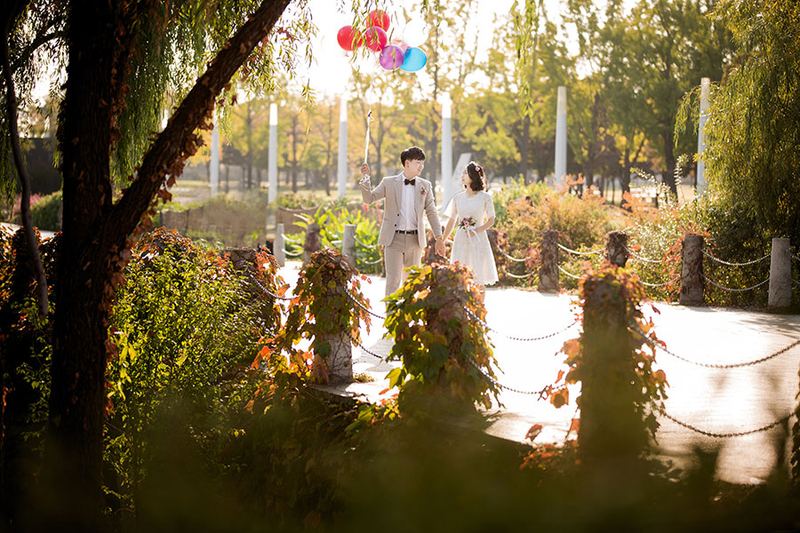 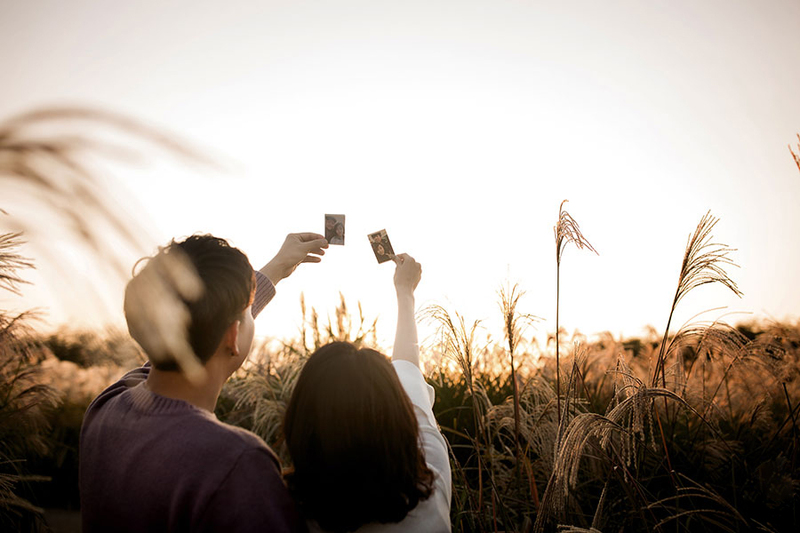 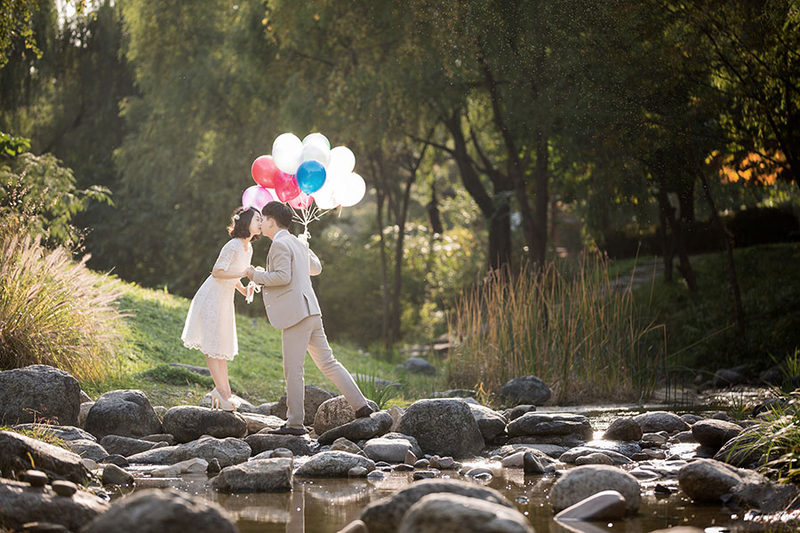 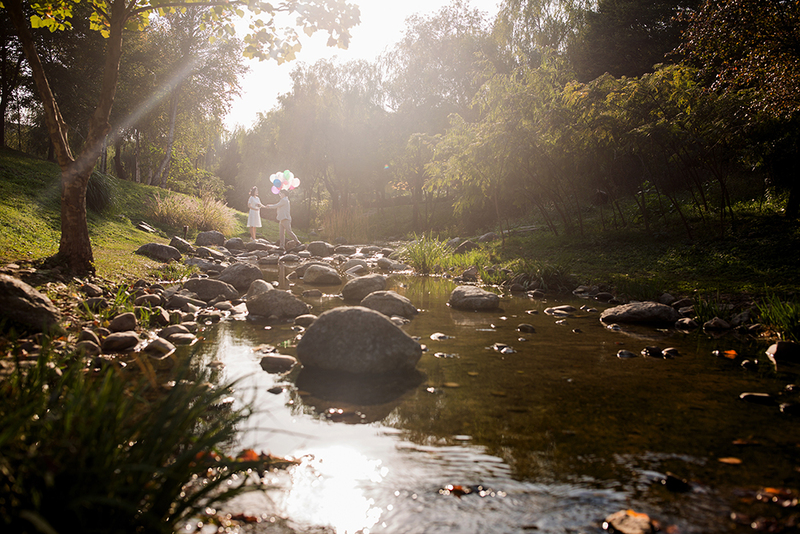 A casual pre-wedding photoshoot at one of Korea’s most famous parks - Haneul Sky Park. 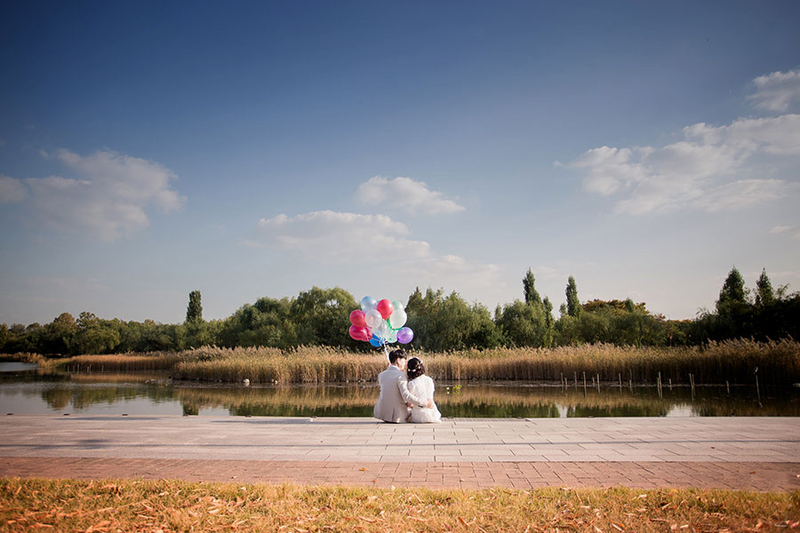 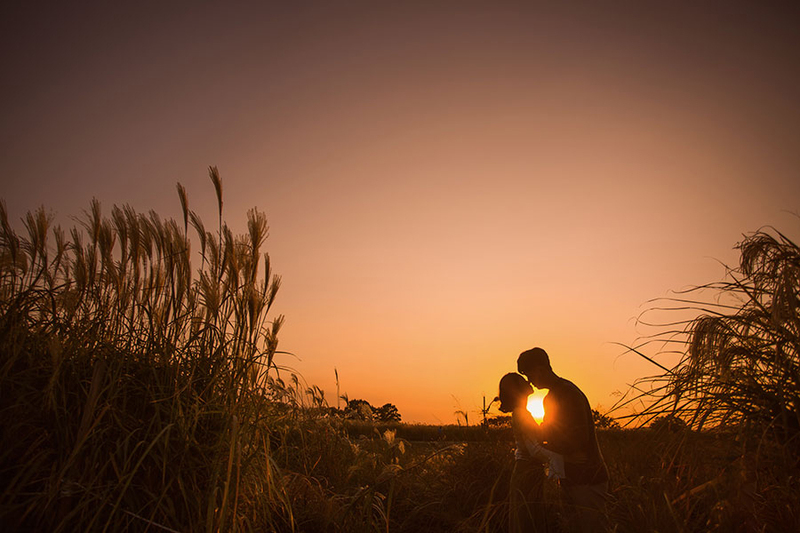 With designer structures and beautiful waterways, it is no wonder than so many couples want to have their photoshoot here! 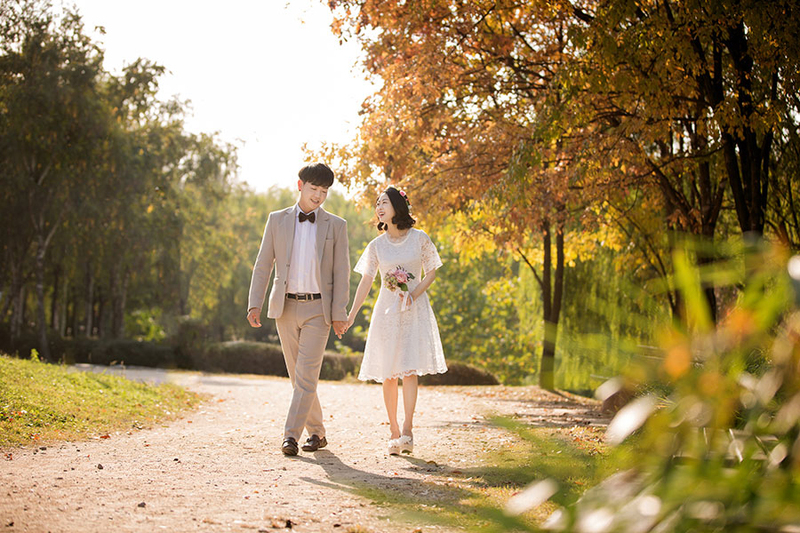 Our couple visited during the end of Spring and you can see some colours of Autumn peaking from the lush foliage. 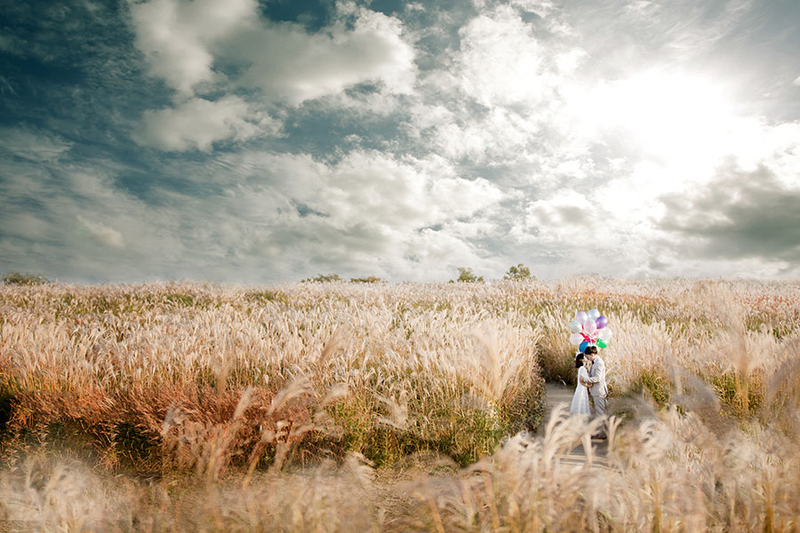 You definitely have to take a photo at the well known endless reeds fields that stretches beyond sight!